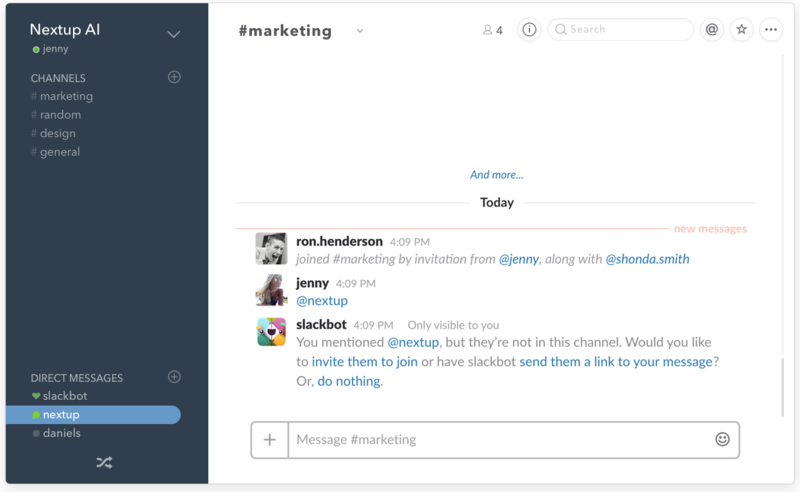 Bots within Slack act just like users. You invite them to channels with /invite @nextup-jira or just @nextup-jira and then inviting the bot user to the channel. 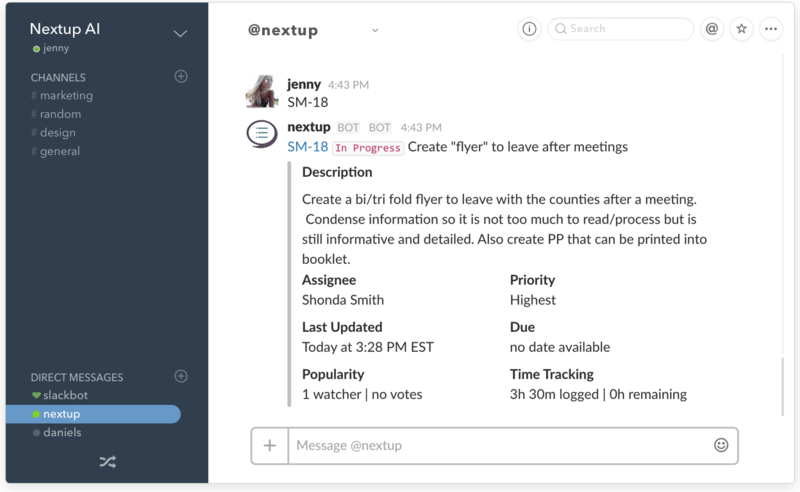 The bot will look for ticket numbers in your chats and provide you with quick issue summaries when you mention ticket numbers. You also got a link to the ticket, the status and the ticket title. Start a chat with the bot just like any other user. When you provide ticket numbers in the private chat the bot responds with more details.